Holy cards, also known as prayer cards or mass cards, are small printings of devotional scenes, religious iconography and saints, typically palm-sized. The reverse usually has a prayer, either asking for divine intercession or commemorating special moments related to their faith. 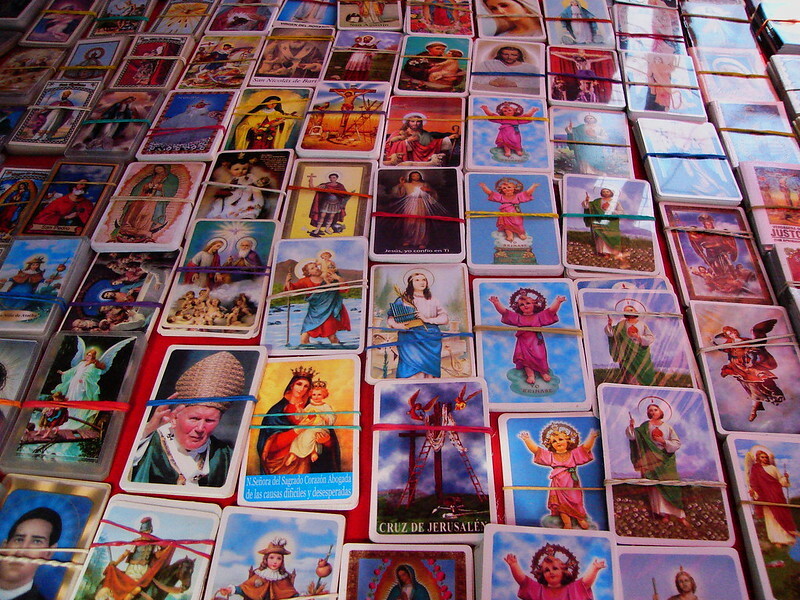 The use and gifting of these cards is an important part of the culture within RomanCatholics here in Mexico, despite there is no official religion since its 1917 Constitution. 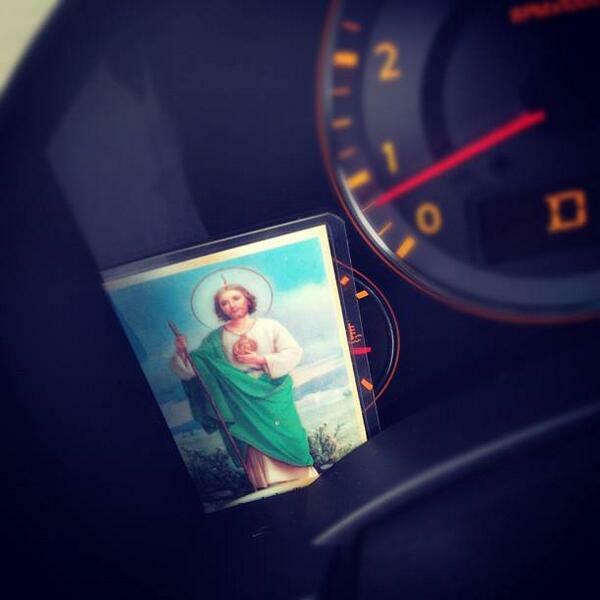 But the reality is that not only Catholicism still holds a firm grip on Mexican society, but there’s also a syncretism and coexistence of this ‘traditional’ Catholicism with the folk and popular saints like the cult to the Santa Muerte and Saint Jesus Malverde, both having their praying cards, as well as another iconography. Nowadays, praying cards are made for almost any occasion, from celebrating the many ‘saints’ or people of devotion here, to religious symbolism itself, like the ‘Cruz de Jerusalem‘ (Jerusalem Cross) or the Catholic Pope. They are distributed and sold during religious events like the mass, funerals, or the Dia de Muertos, as well as when commemorating special moments like a first communion or the passing away of a relative years ago.